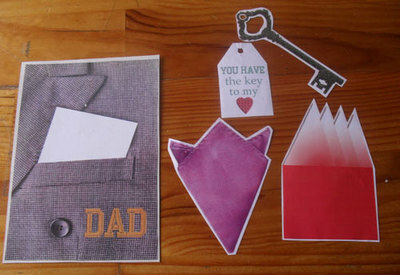 Make this stand up card that Dad will love! Pop a paper present into the pocket...or a real one. 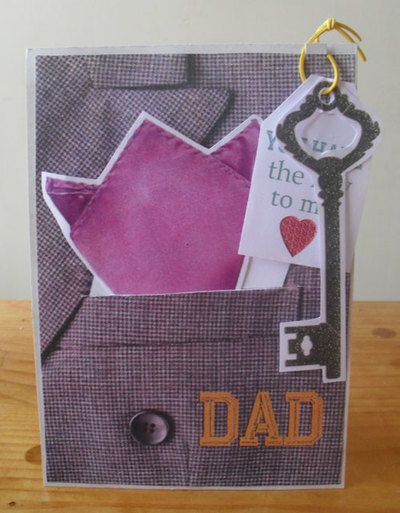 A simple card with maximum impact, perfect for Father's Day. 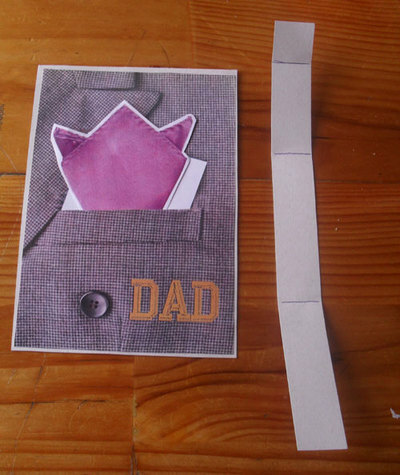 Cut out your Pocket Dad's Day Card pieces. Glue the jacket image onto a piece of card cut slightly larger. Cut along the top of the pocket line. 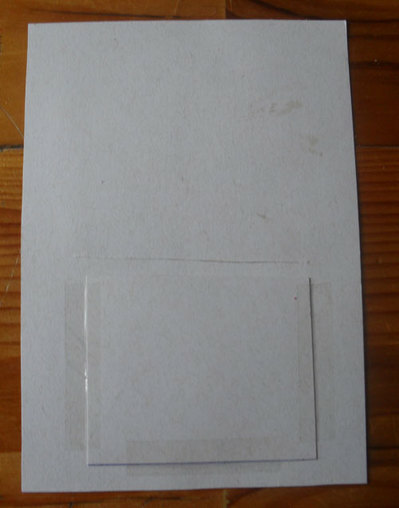 Turn the card to the back and cut another piece of card, taping it along the sides and the bottom to act like a real pocket. 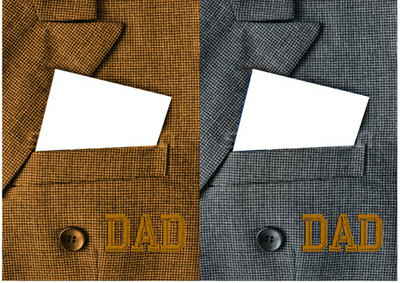 Slide a handkerchief image into the pocket. 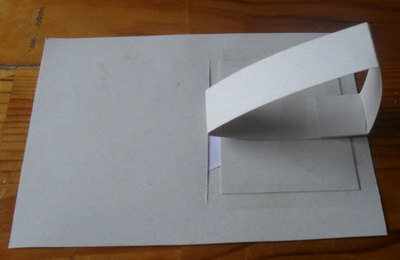 Cut a longish piece of card and mark it roughly into thirds for a stand. Make another mark near the end for a joining tab. 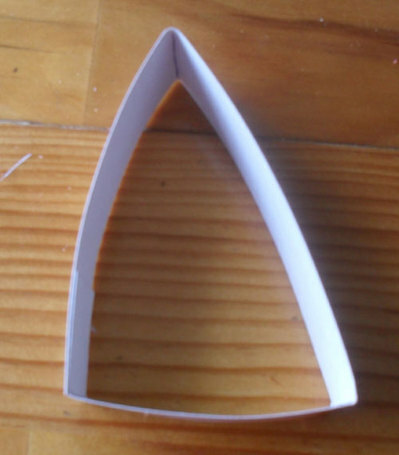 Fold along the marks and tape as shown. 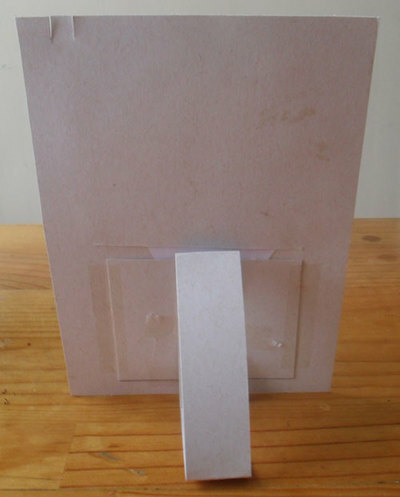 Attach the stand to the back pocket, lining up one of the folds with the bottom of the card. Check that your card will stand up. Finishing touches and you're done! 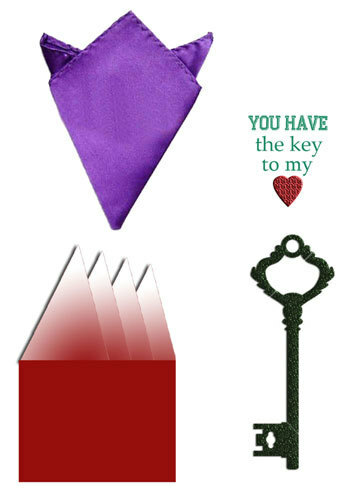 Cut the text image into a tag shape and thread the key and tag together with string or a rubber band. Make a couple of small cuts near one of the top corners to hold the tag and key. 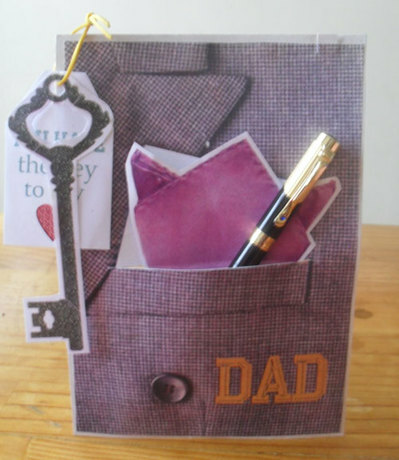 If you want, add a 'real' present like a hanky or pen or keyring to the pocket. If you have a 'heavy-ish' present, just make your stand wider.